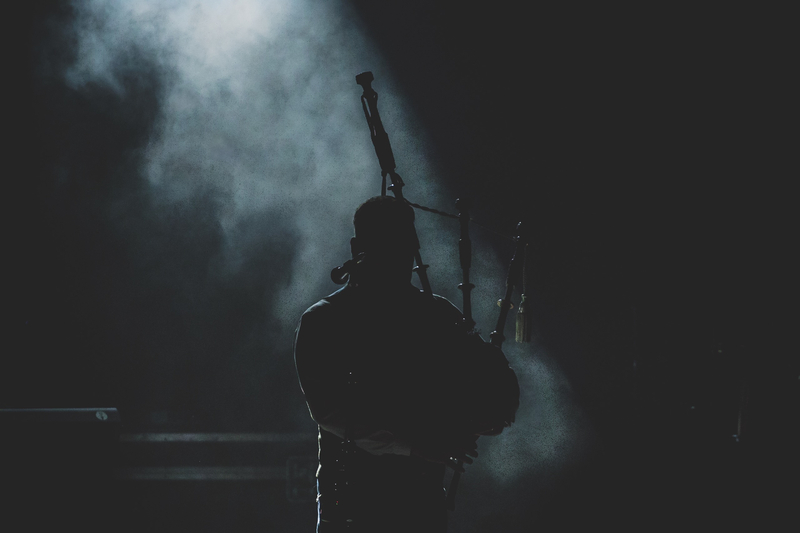 We've all heard the iconic bagpipes, but what happens when you fuse traditional Scottish music with more modern inspiration? 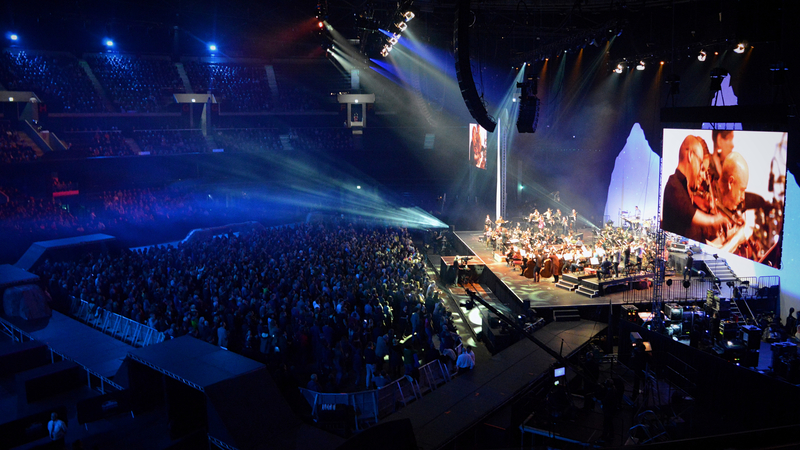 On Saturday I went along to a Celtic Connections show at the SSE Hydro in Glasgow called 'Bothy Culture and Beyond' (for those who don't know, CC is an annual festival of traditional music). 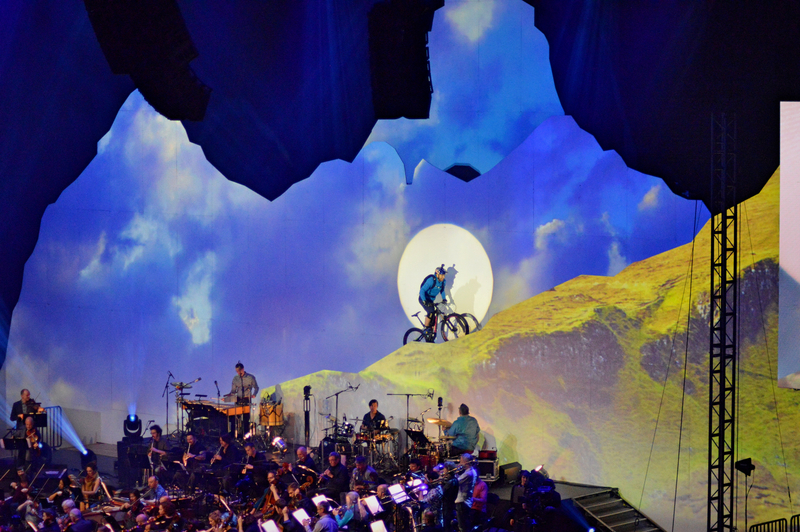 This huge show which, along with an insane Skye-inspired set, featured famous trials cyclist Danny MacAskill performing alongside the Grit Orchestra. The musicians were playing songs from Martyn Bennett's albums such as Bothy Culture and Grit. The music was AMAZING If you could bottle what being in Scotland feels like, convert it into sound... Well, you're halfway there. I've been listening to Bennett's albums ever since on Spotify and I'm a little bit obsessed! SO... I need some more recommendations! 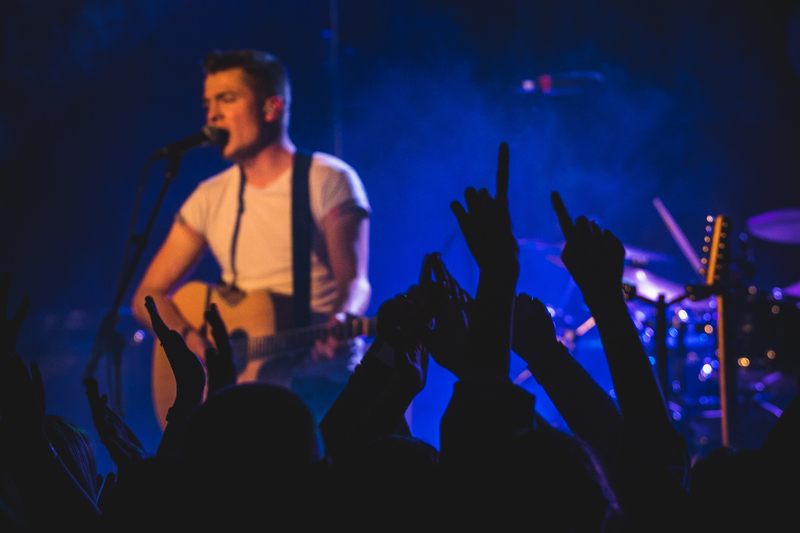 Trad music fans, what are your favourite bands, singers, musicians? 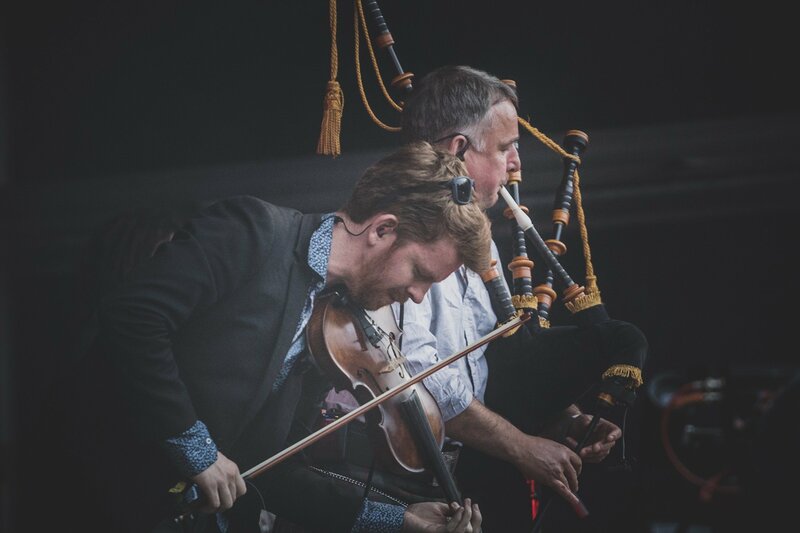 I'm also a big fan of Skerryvore (who are great live) and Ryan Young (a VERY talented fiddle player who grew up just down the road from me!). P.S. 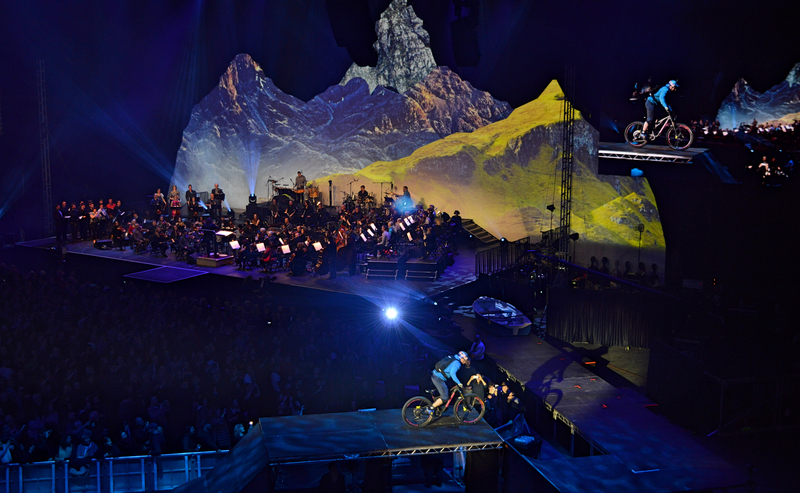 If you don't know who Danny MacAskill is and where cycling fits into it... Watch this! I went to Celtic Connections as well and loved it! GRIT and Niteworks were both really good. I loved it when they had the dancers aerial dancing! Best of the west was really good last year, really scenic setting too! @Jemy those dancers were brave eh?! 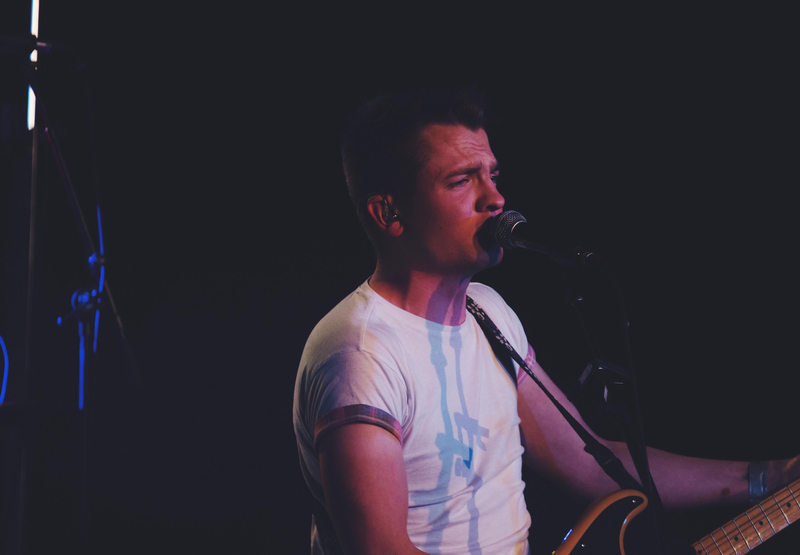 @laretour Martyn Bennett was a legend and unfortunately taken from us far too soon, what he did with music was amazing and really ground breaking at the time. I went to the first Grit Orchestra concert at CC in Jan 15 and it was incredible, Martyn would have been so proud. Unfortunately missed this one, but its being broadcast on BBC2 tonight so I will be cranking up the volume on the TV and having a dance! Other music that I like that fuses traditional with other styles - Treacherous Orchestra, Peatbog Faeries, Manran, The Chair and Salsa Celtica for a bit of latin/scottish fusion. 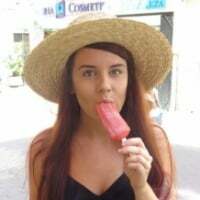 Great thread Laura! 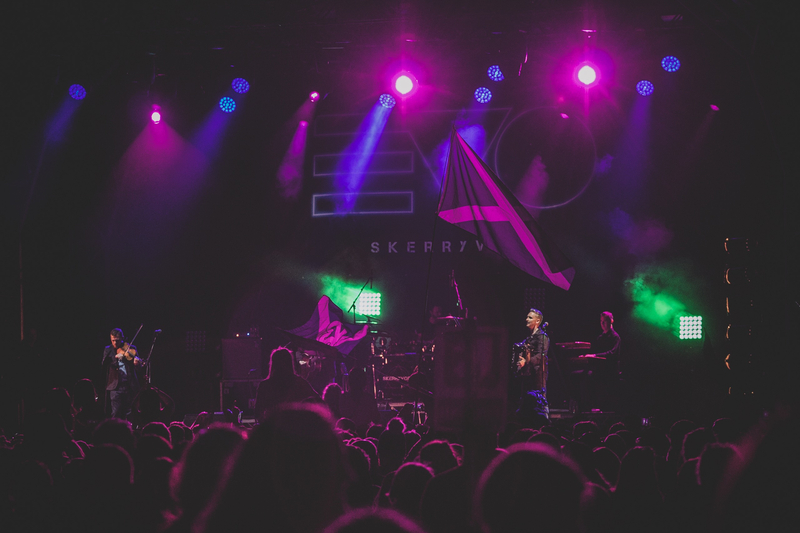 Love Skerryvore too, always put on a great show whenever I have seen them! 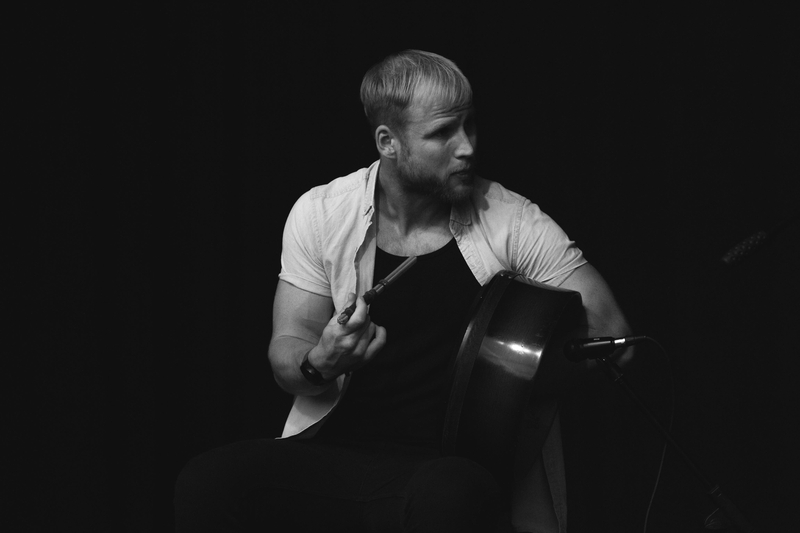 Heading to Knockengorroch World Ceilidh this weekend and can’t wait! Line up looks amazing and the forecast (I don’t want to say it too loud and scare it away) is looking brilliant! Im sure I’ll share some of it here when I return, it may be something you’ll want to visit when it’s next on..
Hi @laretour! I recently found out about Tide Lines - worth checking out! I discovered Elephant Sessions a couple of years ago when we spent Hogmanay in Inverness. 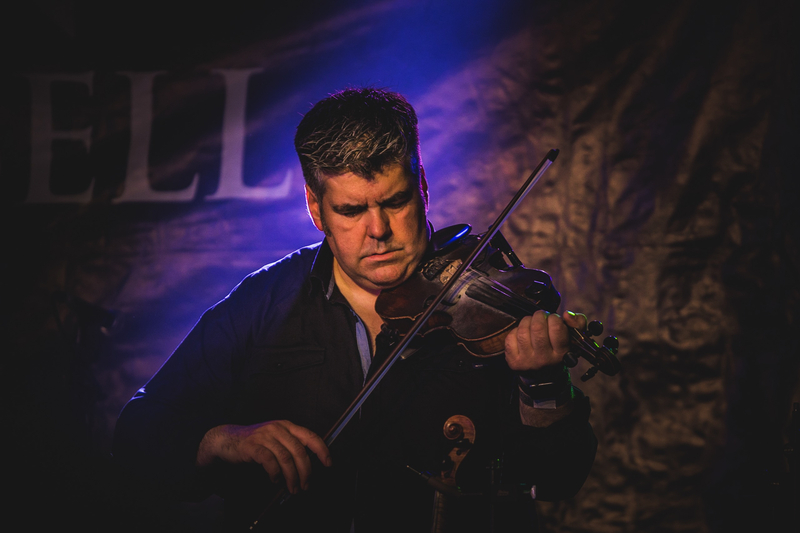 So I recently went to Knockengorrach World Celeidh Festival in Galloway in search of a weekend of Trad music and wasn’t disappointed! 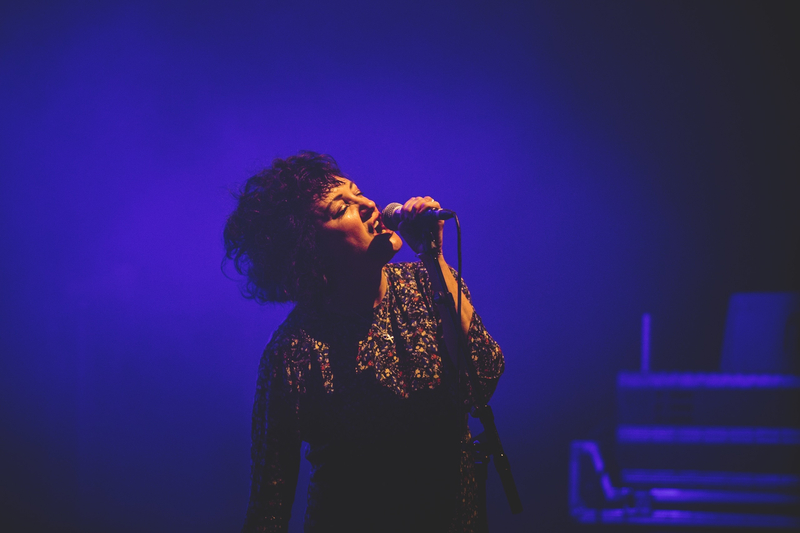 Just off the Galloway Coastal Route, a stunning drive through the south west of Scotland, this festival brought together Trad music acts from all over the uk and further afield as well as an eclectic mix of festival goers! 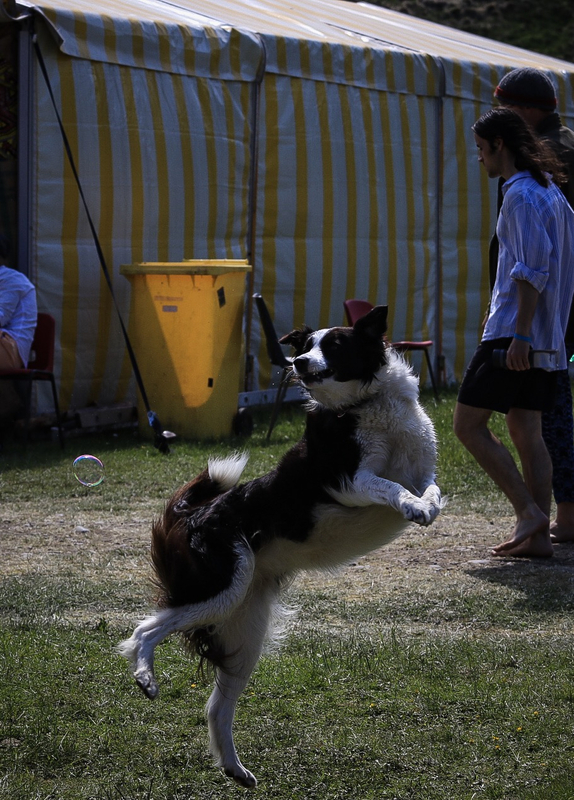 This World Ceilidh event caters for people of all ages, young and old and even allows dogs to come along, a rarity for festivals these days! 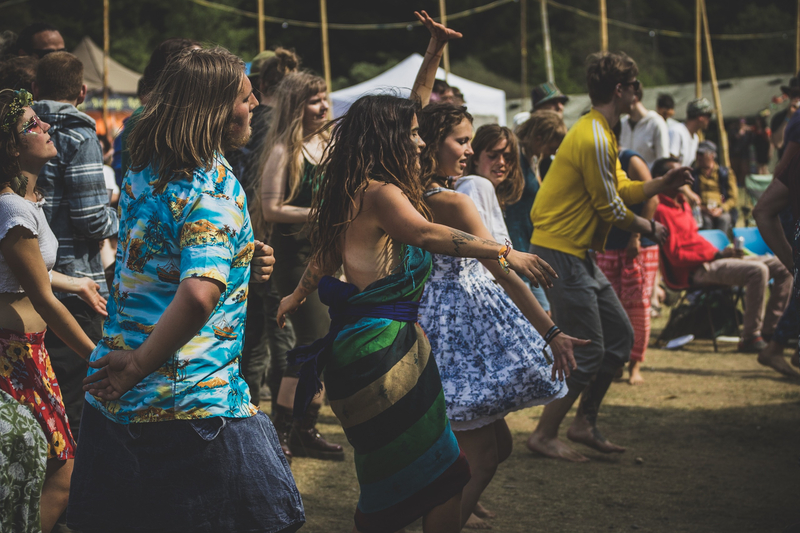 With five main event stages, there is a style of music to suit everyone as well as workshops throughout the day specialising in traditional crafts, music and wellbeing! 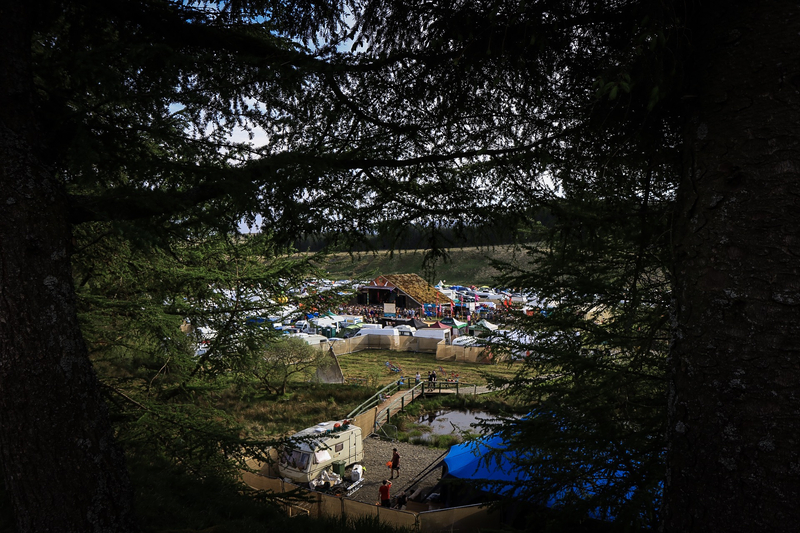 The history of the Knockengorrach site is at the forefront of the festival, the site was once the feudal seats of the Clans macAdam and Clan macMillan and you can sense the history as you walk through the festival! 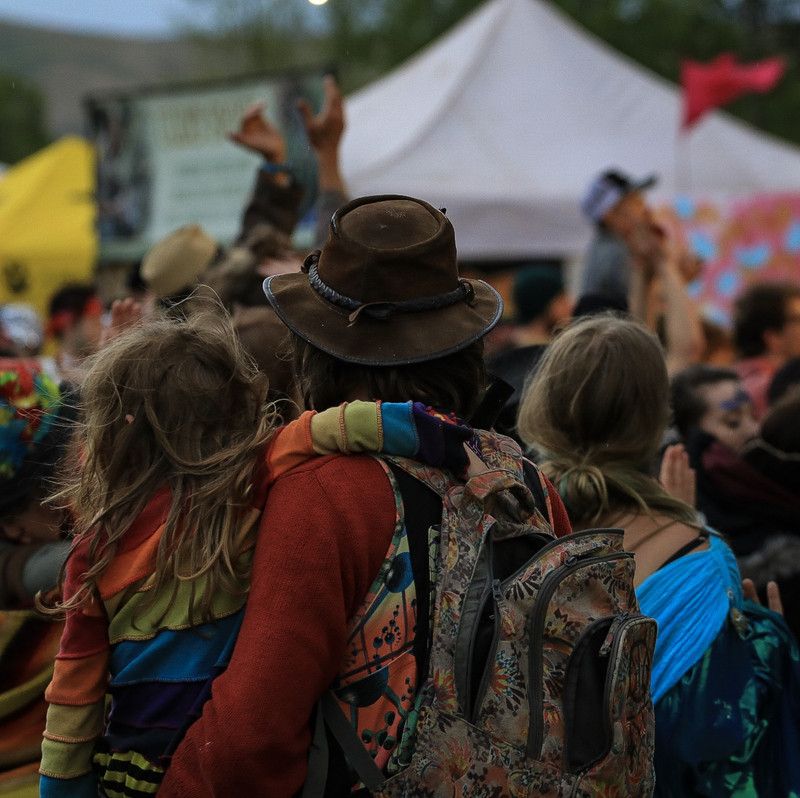 All ages can enjoy what is to offer at the festival.. 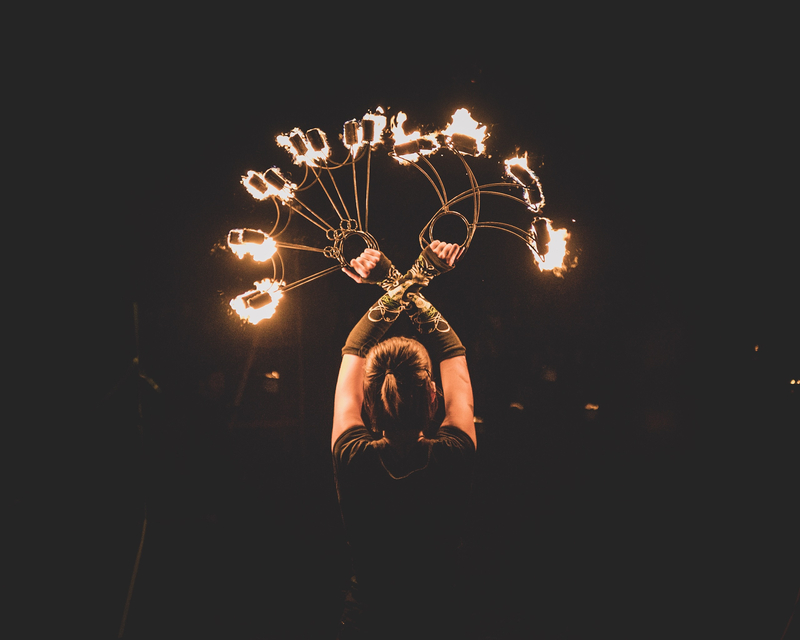 Particular highlights, other than the best weather I’ve seen in Scotland for a long time and a haggis pizza, was listening to traditional storytelling at The Longhouse, an amazing fireshow by Pyroceltica and Trad music by Awry.. to mention just a few! 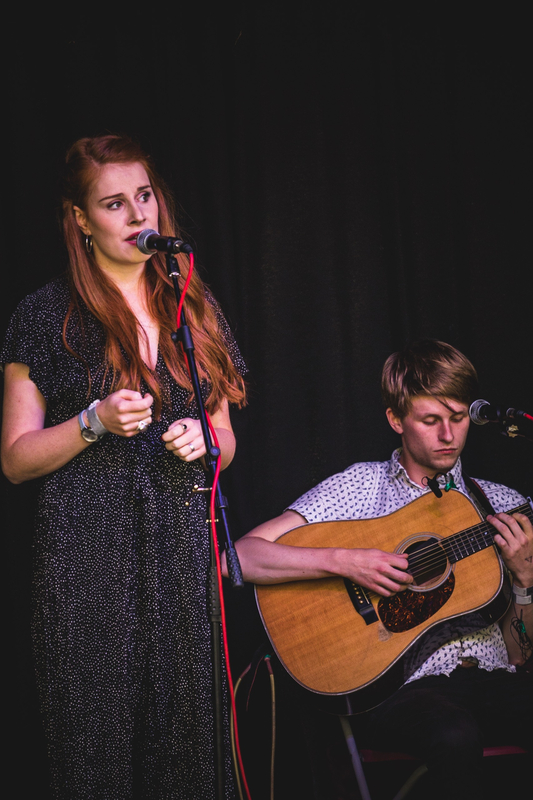 So many brilliant acts playing on the various stages you’re sure to find something you like! Awry playing some Trad music..
Sunday saw the the main event for me, the Knockengorrach Ceilidh! It was amazing to see well over 100 people dancing and enjoying some classic traditional Scottish Ceilidh music, despite the scorching temperatures! People young and old joining hands and dancing the afternoon away to the sounds of bagpipes and fiddles was the perfect way to spend the day! Even the dogs seemed to be doing the Highland fling.. So I would definitely recommend Knockengorrach World Ceilidh for next year, so much to see and do, and such a friendly and welcoming atmosphere! 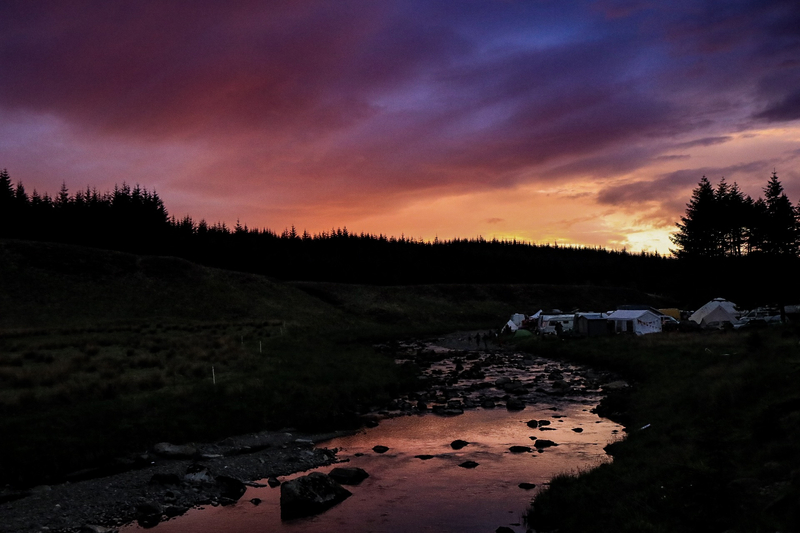 Set in a beautiful Glen in a stunning part of Scotland, surrounded by history it is sure to give you an amazing experience and tick all the boxes for those in search of a Trad music experience.. until next year Knockengorrach, thank you! @Lochgmarcp Looks like you had a quality time! Got anything else lined up for the summer? It was great thanks @VisitScotlandLiam good start to the festival season! 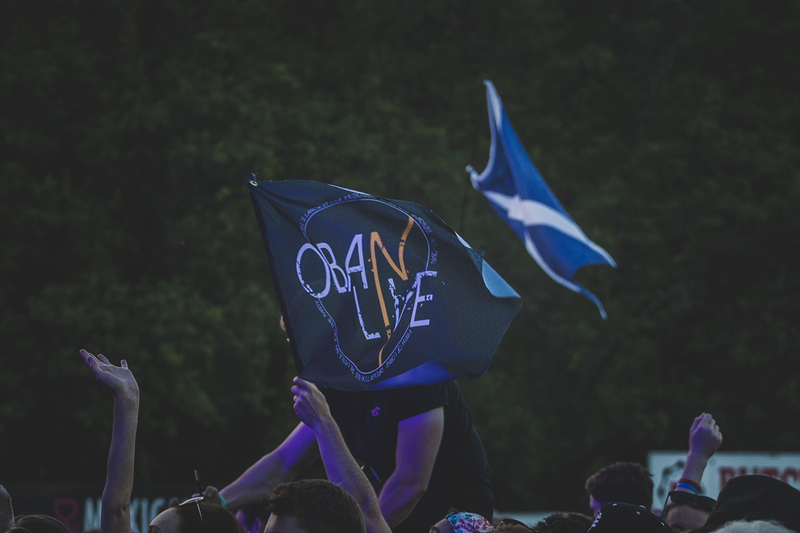 I’m at Oban Live this weekend, Argyll’s largest music festival and then HebCelt on Lewis in July, can’t wait for that one! How about you? @Lochgmarcp My band are playing at Youth Beatz Festival in Dumfries on the 1st of July, then I have TRNSMT, then I'm, going to Sunday Sessions at Dalkeith Country Park in Edinburgh! Another weekend and another music festival.. this time I was heading to the beautiful Argyll town of Oban! 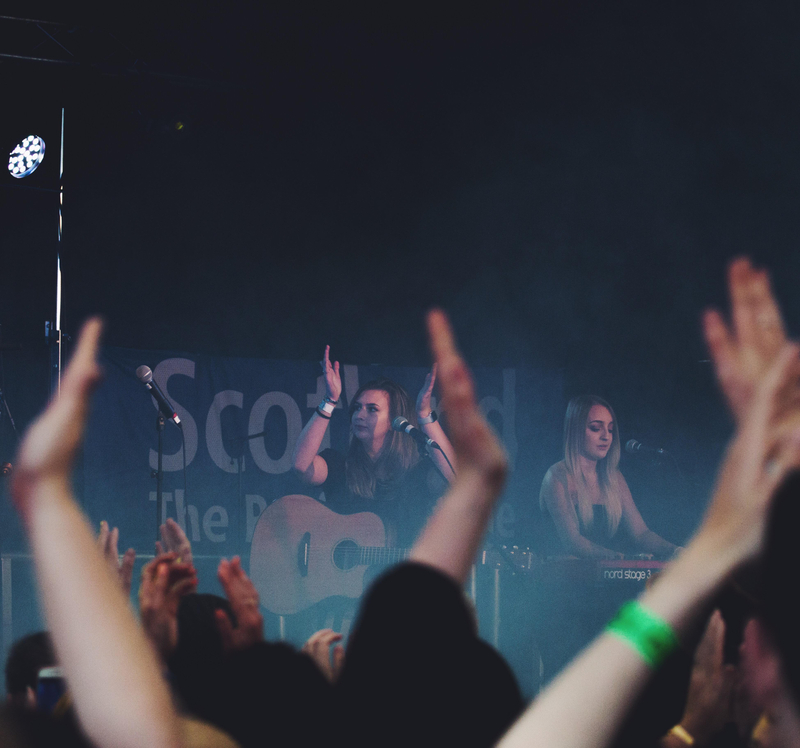 Oban Live 2018 saw some of the biggest names in modern traditional music coming together to celebrate the infectious West Coast spirit and welcomed people from all over Scotland and beyond, sharing their music to a crowd of thousands and of all ages, definitely encompassing a Year of Young people who didn’t hold back from dancing and singing their hearts out to their favourite bands..
With music from the likes of Tide Lines, Heron Valley, Peatbog Faeries and Trad Music heavyweights Skippinish and Skerryvore (two of my personal favourite bands) it was impossible not to dance and get involved! Such a friendly atmosphere at this event and really nice to have a crowd so passionate about this genre of music! 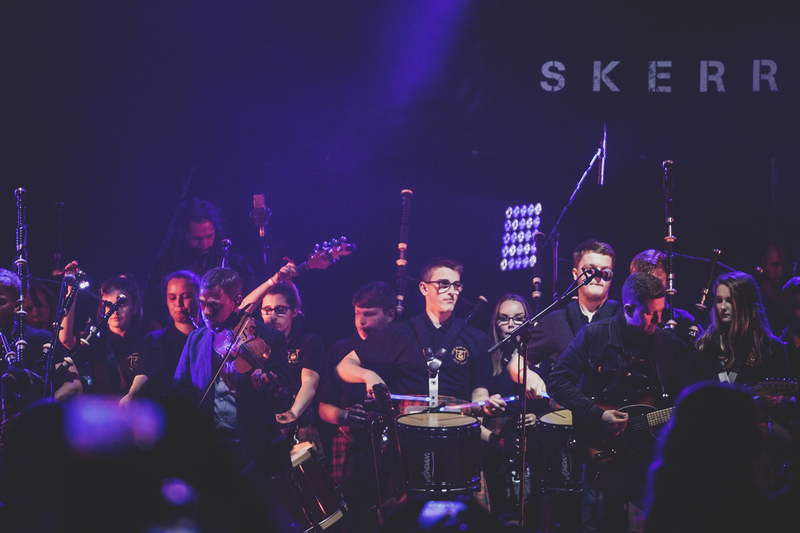 Oban High School Pipe Band even joined in with Friday headliners Skippinish and Saturday headliners Skerryvore, and put on a thrilling performance that made the crowd go wild! 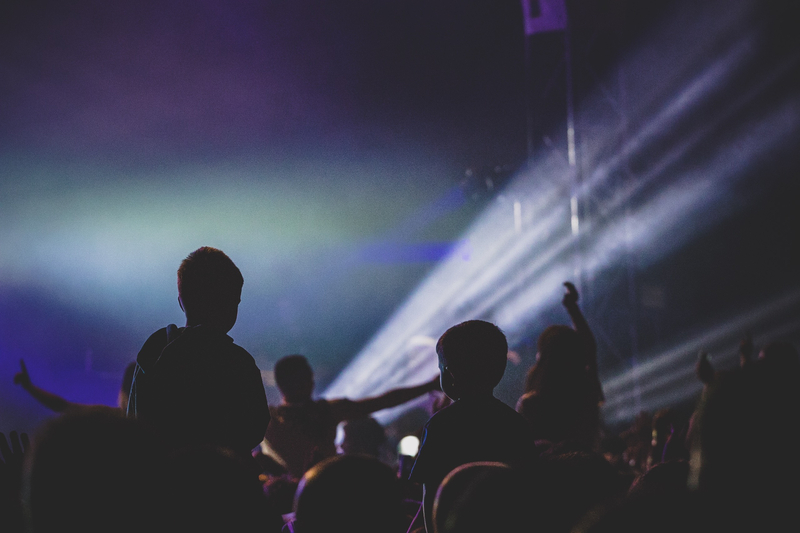 It’s so good to see so many young people gravitate towards Traditional Music again and really enjoy being a part of it! 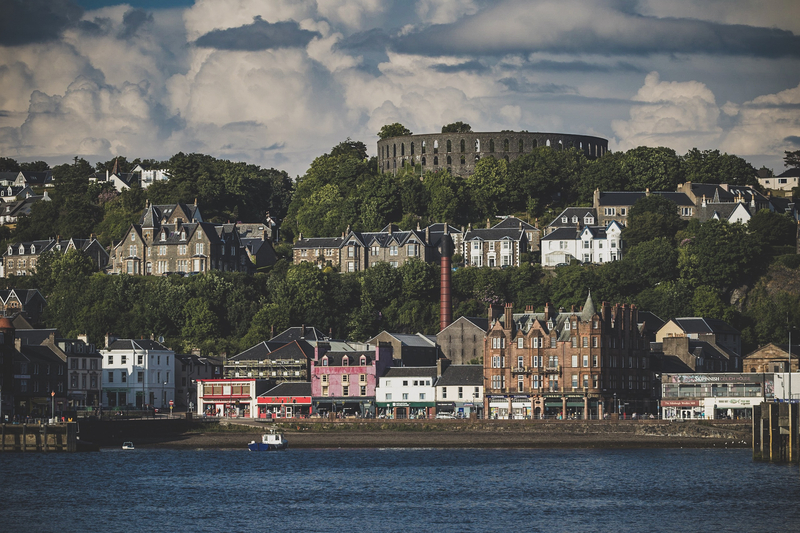 There is is plenty to do in Oban too, prior to the event there are lots of shops and cafe with live music on, and Oban has some of the freshest and best seafood in Scotland so plenty of restaurants to dine out before the event! 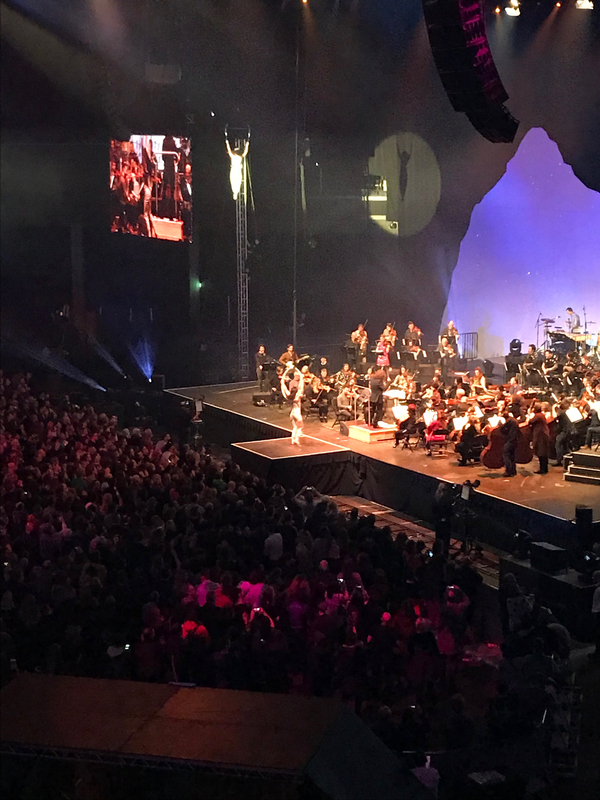 But for me, I just couldn’t wait to watch more of the amazing live music..
Oban High School Pipe Band put on a jaw dropping performance alongside Skerryvore, the whole crowd was stunned by their set which included an amazing light show! 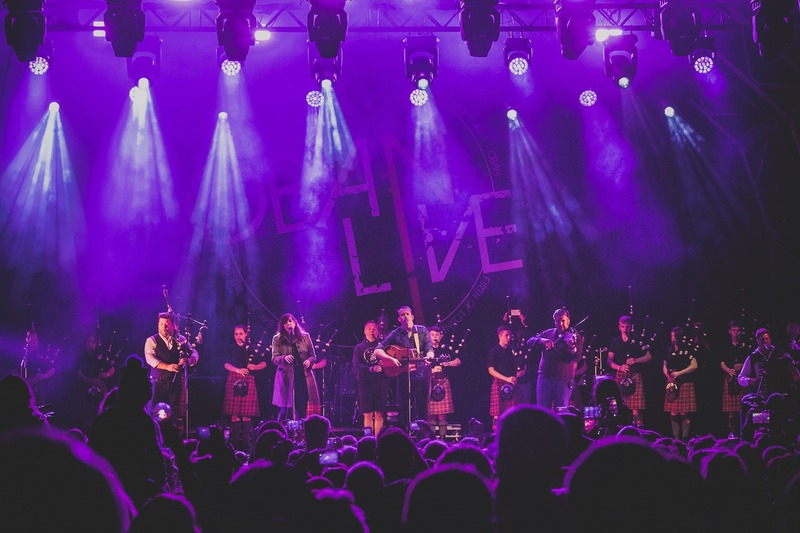 So if modern trad music Played at the largest event in Argyll sounds like something you might like, Oban Live is definitely the music event for you! 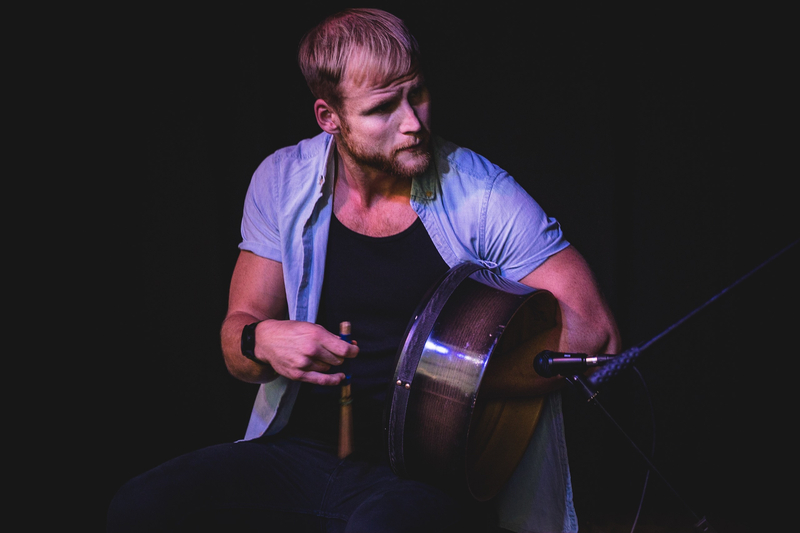 I had the most amazing time, shared laughs with a friendly and welcoming crowd and danced all night long to some of the best Trad Music bands Scotland has to offer.. I cant wait for next years event already.. will you be heading along too? 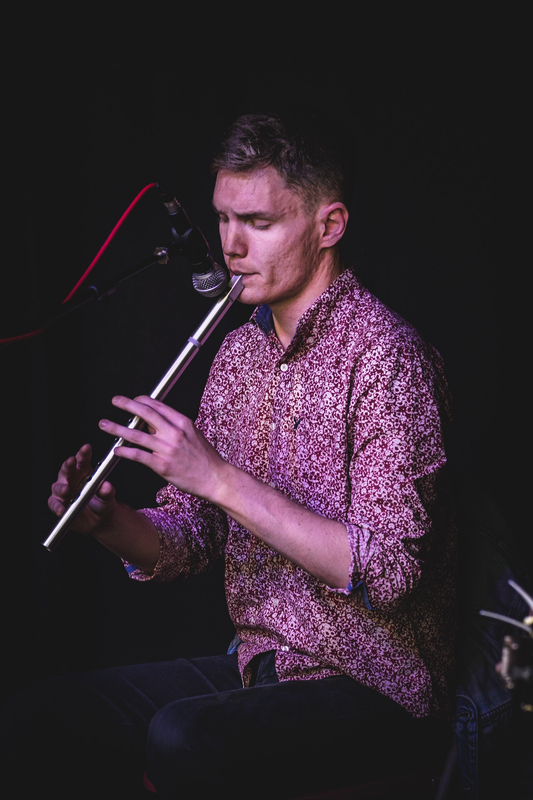 My penultimate Trad music festival saw me travelling to the stunning Isle of Lewis for HebCelt! I had been looking forward to this festival all year and it certainly didn’t disappoint! 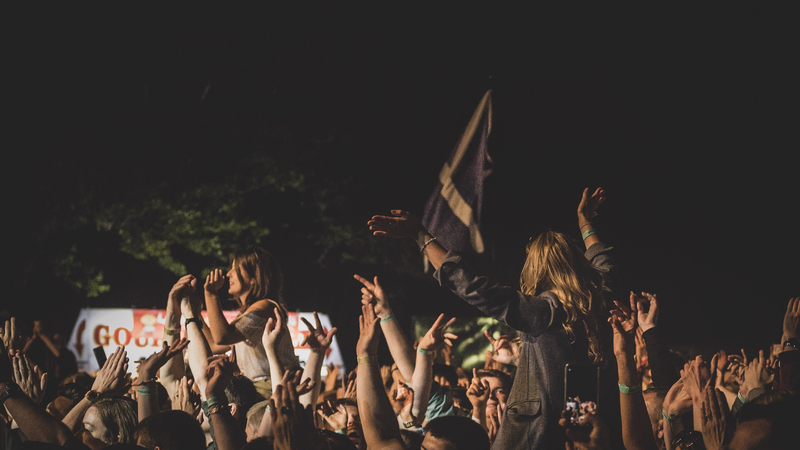 Set in the heart of Stornoway, in the grounds of Lews Castle, HebCelt saw some of the biggest names in Scottish music coming together to perform for a huge crowd from not just Scotland but all over the world! During the day, a walk around Stornoway meant I could catch some of the many fringe events taking place! 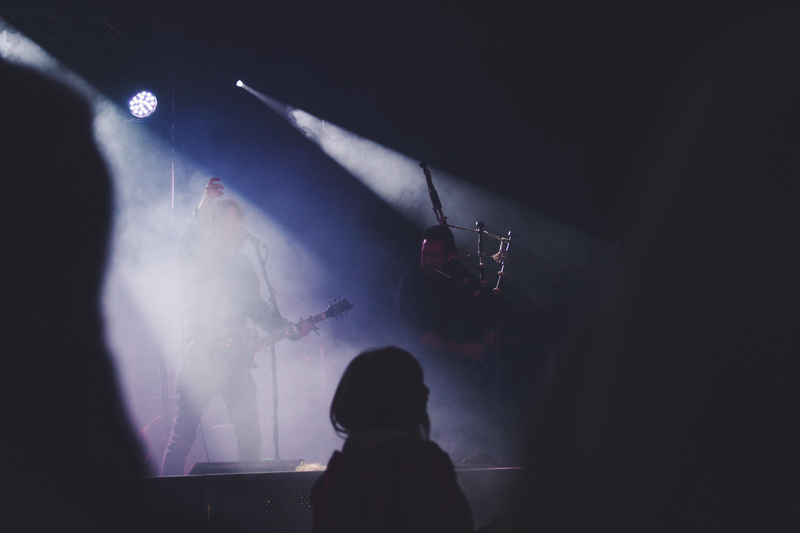 Live music from some local bands, highland dancing performances to attract the crowds and intimate Trad music performances certainly kept me and the crowds entertained! 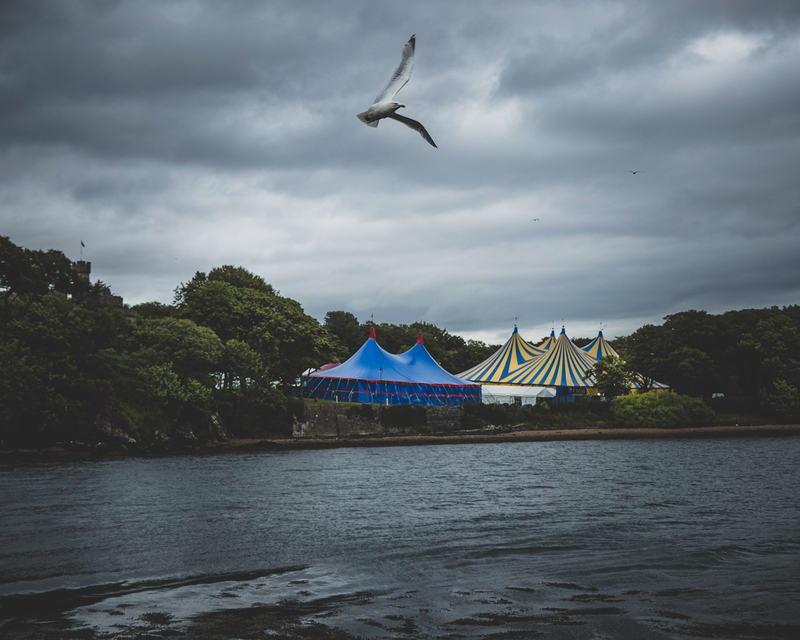 Seeing as as though I was on the island, when I wasn’t taking in the music performances I travelled around the island a little, there are so many stunning beaches and heritage sites to visit that you can really make attending HebCelt into a mini vacation! A perfect weekend getaway! 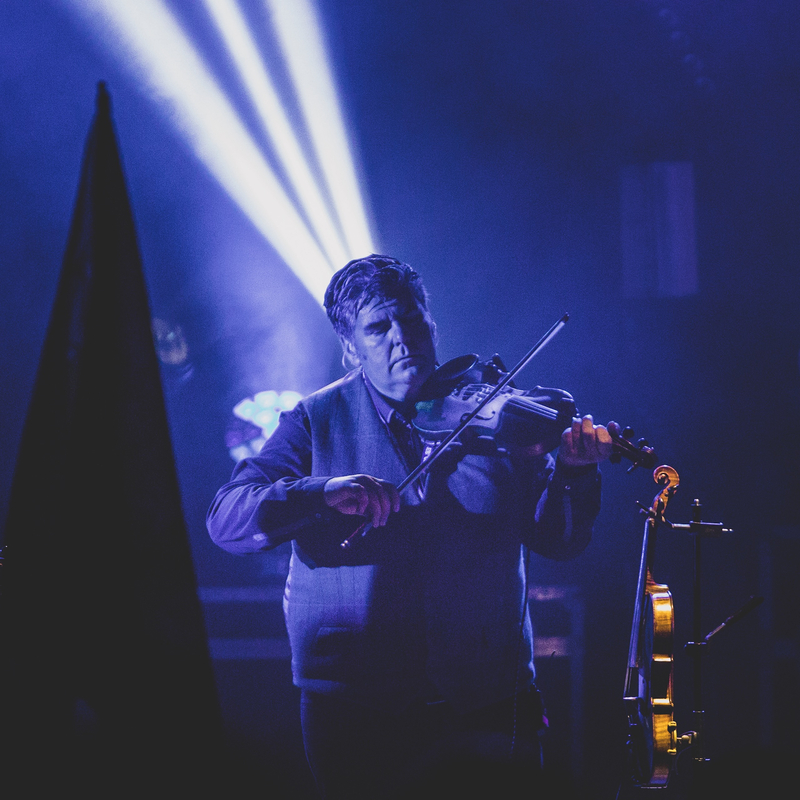 The highlights for me, was watching Eddi Reader, Deacon Blue and the trad music giants Skipinnish, Blazin’ Fiddles and Tidelines perform, as well as a great band called Niteworks from the Isle of Skye, a great fusion of Trad music and electronica.. perfect act to dance the night away to! 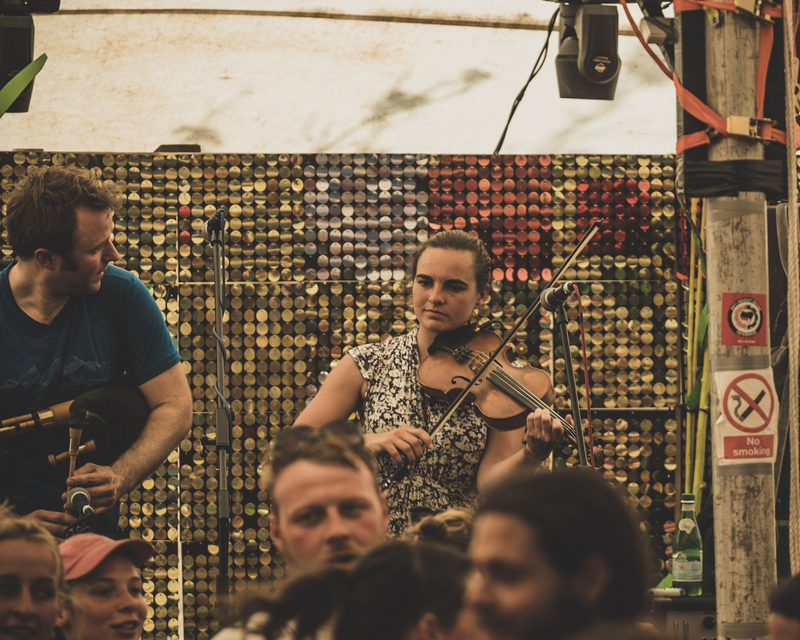 The friendly atmosphere of HebCelt, mixed with the amazing music made it one of the best festivals I’ve attended this year! It was so nice to see the younger generation getting into traditional music and really enjoying themselves! 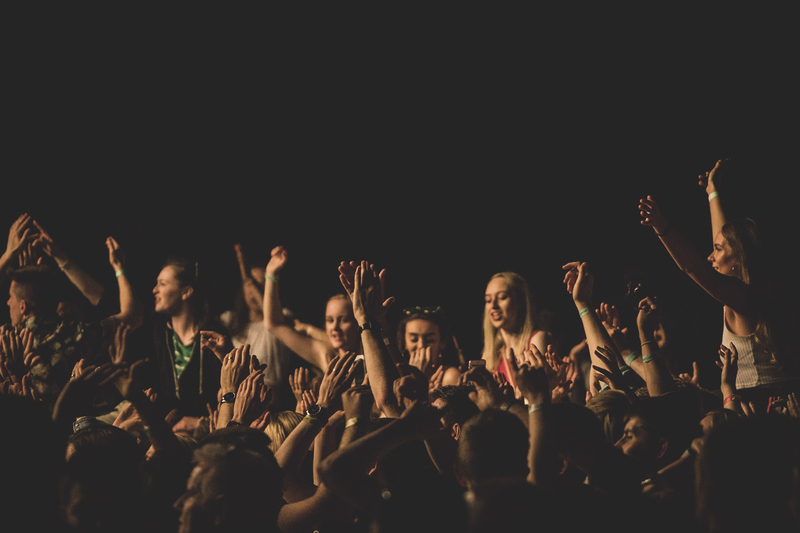 Plus meeting music lovers from all over the world who travelled to Lewis just for the festival was really cool..
A few of my favourite moments from HebCelt..
Did you attend HebCelt this year? Or any other trad festivals? Let me know.. planning for next years Trad music festivals has already begun.. 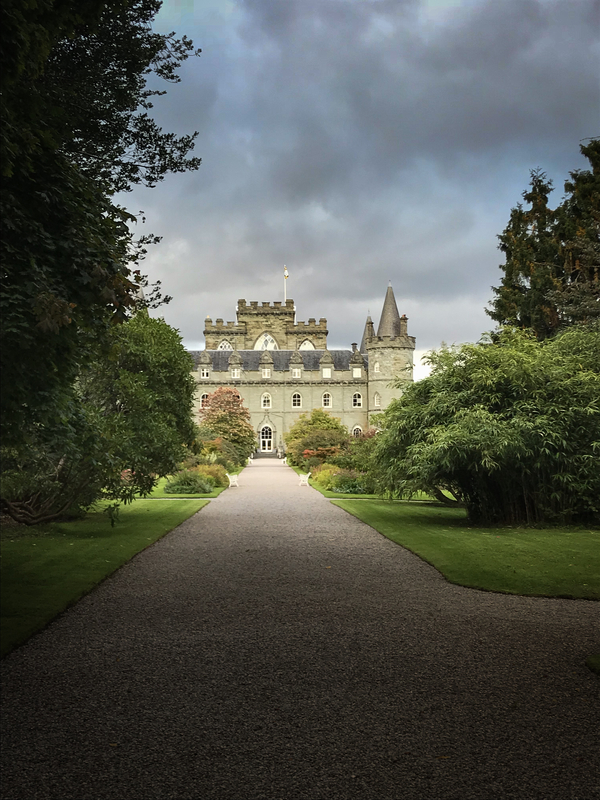 This weekend I attended BOWFest, a Traditional music festival held in the stunning grounds of Inveraray castle on the west coast of Scotland. Being a local to the Argyll area this festival is without doubt a highlight of the year for myself as well as a lot of other locals and it's great to see people coming from far and wide to enjoy the weekends festivities. The musics awesome, the foods delicious and how many festivals are held in the gardens of a fairytale castle? Anyway let me tell you a wee bit about the weekend. Views from Inveraray's front street. 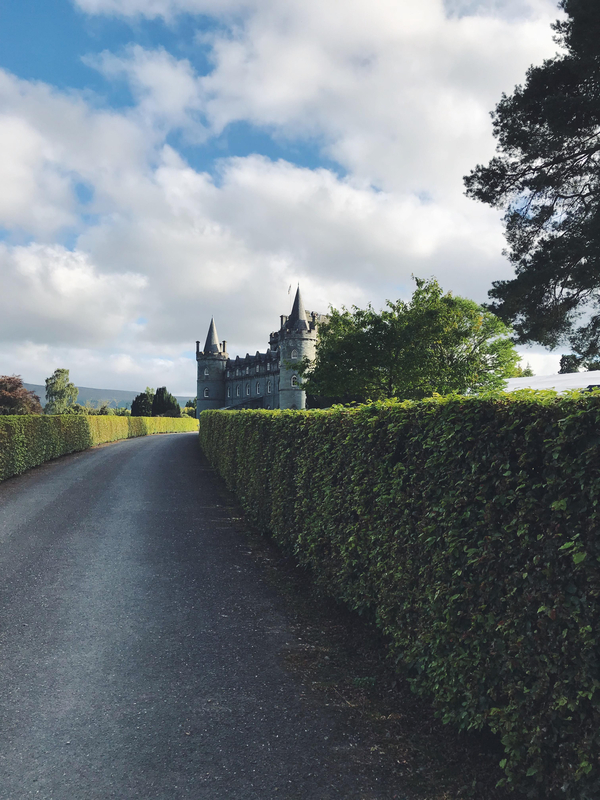 The beautiful Inveraray castle, the festival tents are just on the other side of this hedge. 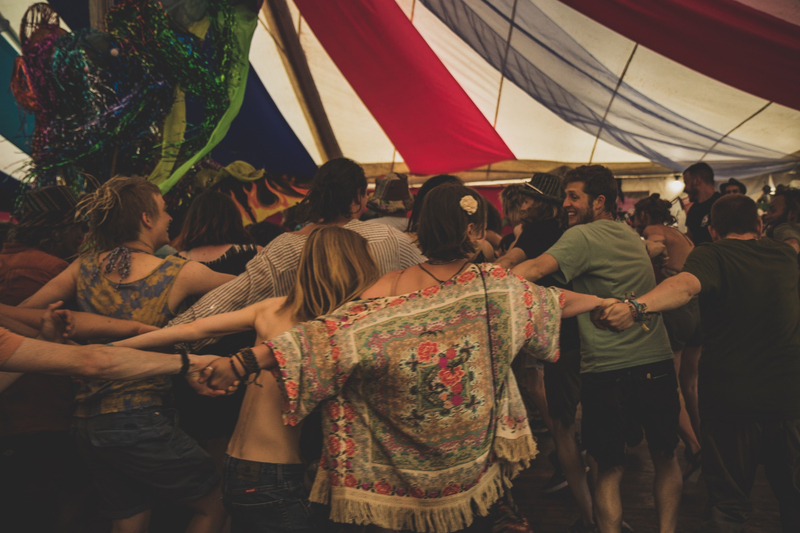 The Festival begins on the Friday night and always has a great party atmosphere. 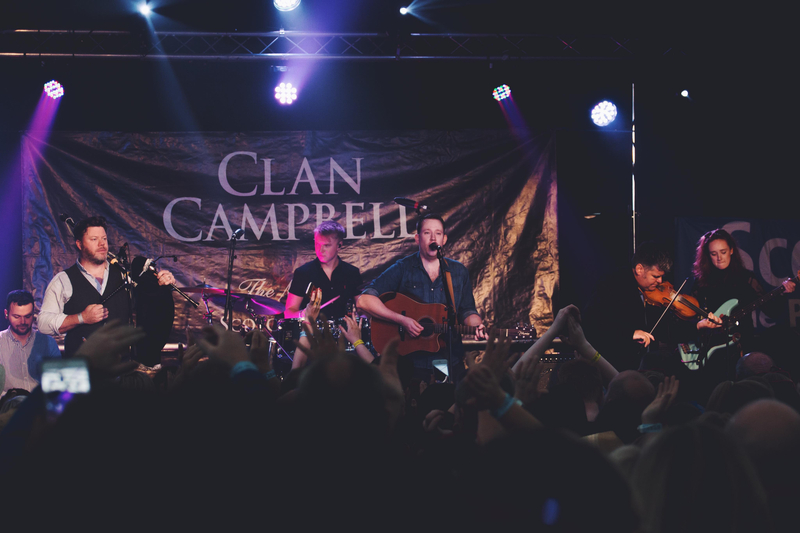 Playing on the Campbell stage on the Friday evening were young Uist band Beinn Lee, Seven Nations who came all the way from America and Tide Lines who always go down a storm especially with the festivals younger audience. Seven Nations entertaining the crowds. 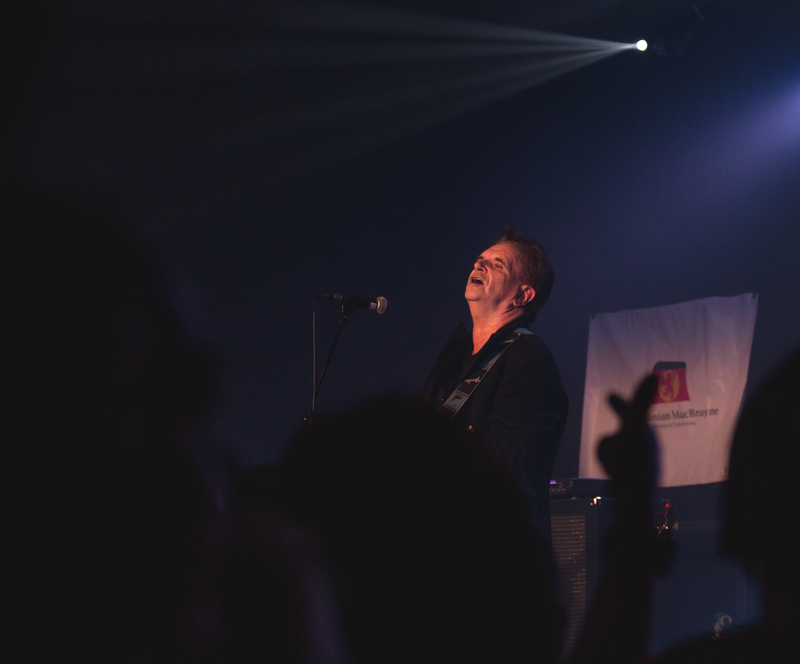 Tide Lines front man Robert Robertson. First stop on Saturday was the food tent for one of my friends this is the highlight of the festival. 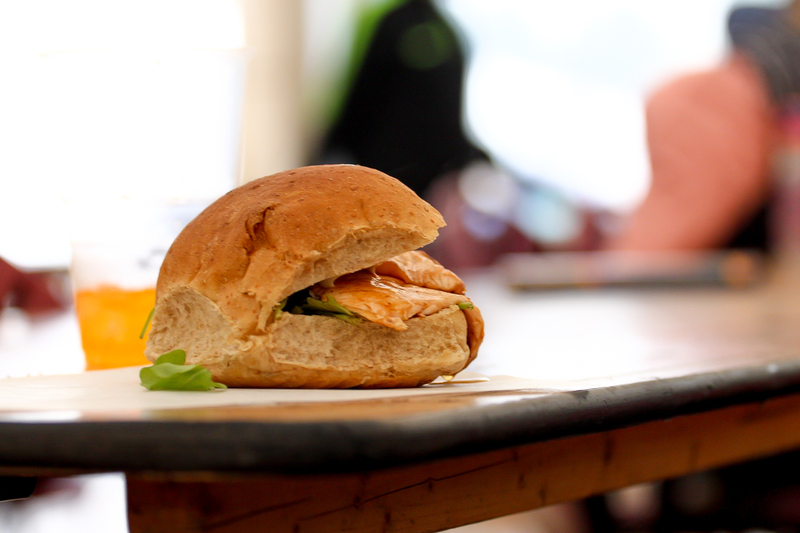 There is so much choice from the award winning Food from Argyll group including Pizzas, pastries, sea food and vegan and vegetarian options however I personally can never pass up a Winston Churchill Venison Burger, they are to die for. One of the many yummy meals on offer. After food we took a wander around the stalls where people from all over Scotland exhibit their work, there's a great range of stalls including paintings and photographs, candles, clothes and jewellery. It's fantastic as you wander around these stalls you can still hear the bands playing, you can even hear the music as you wander around the grounds of the castle. Saturday afternoon featured probably my favourite act of the whole weekend, Project Smok. These boys sounded absolutely incredible and really got the crowd going! 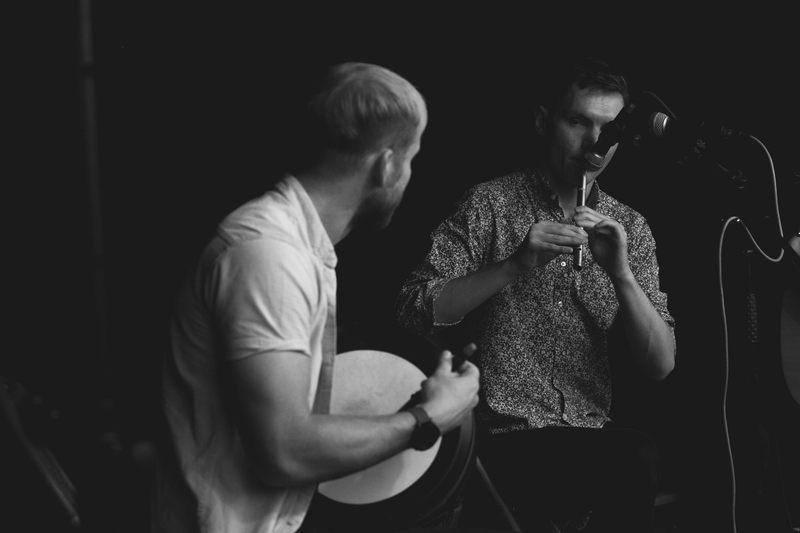 I think it was possibly their simplicity that made them sound so good, the Bodhrán, whistle, guitar along with a quick blast on the pipes were the only instruments used. Definitely a group to watch out for! Cowal band Heron Valley took to the stage in the evening, I shamefully admit that I'd never really listened to them much before but I was really impressed by them and they really got the crowd going. I noticed teenagers were particularly enthusiastic about this band, it's great to see young people enjoying Trad music and I guess seeing young local people being so successful is an inspiration to many. The Legendary Donnie Munro and his band closed the festival on Saturday night. As a life long Runrig fan it was fantastic to see him perform live. 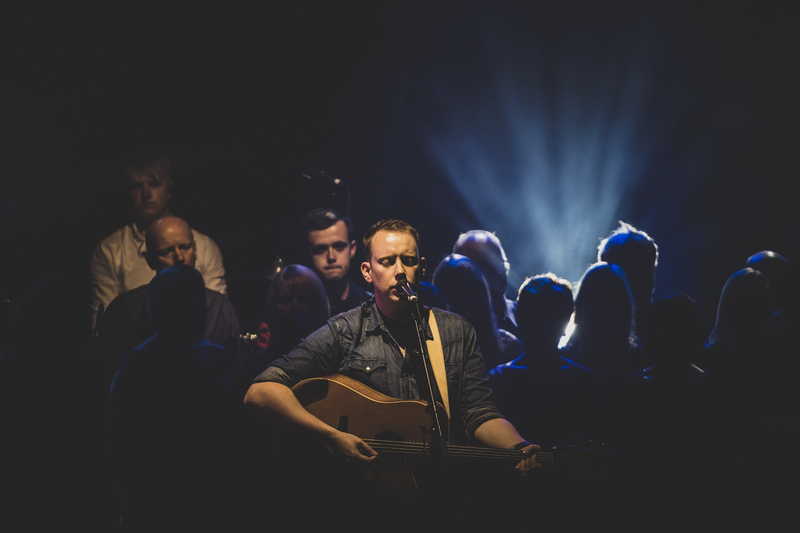 He finished with the classic Loch Lomond which as you can imagine produced an epic sing along and a fantastic atmosphere! The Duke of Argyll, who owns the castle, even made an appearance on stage. Did you know in 2005 he captained the Scottish team that won the elephant polo championship? This always amuses me. 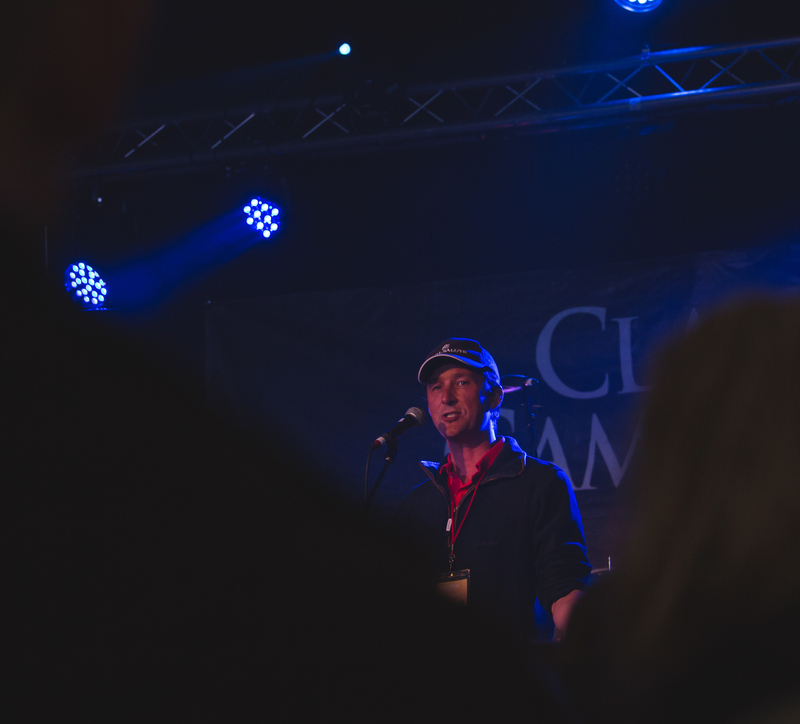 After the the lovely weather during the first two days of the festival Sunday was plagued by very heavy showers however this did not dampen the party atmosphere when I arrived their was a mini Ceilidh going on in the Loch Fyne Whisky tent. 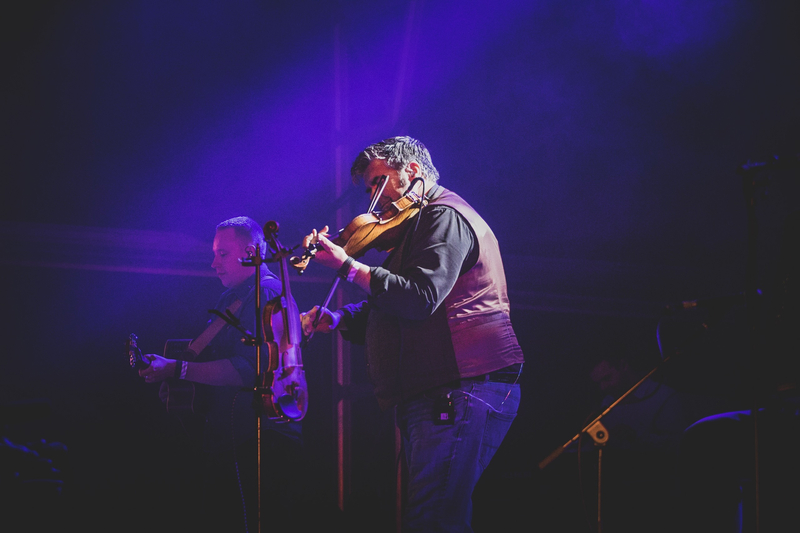 The festival on Sunday night was closed by the fantastic Skipinnish who were Trad Live act of the Year in 2017. 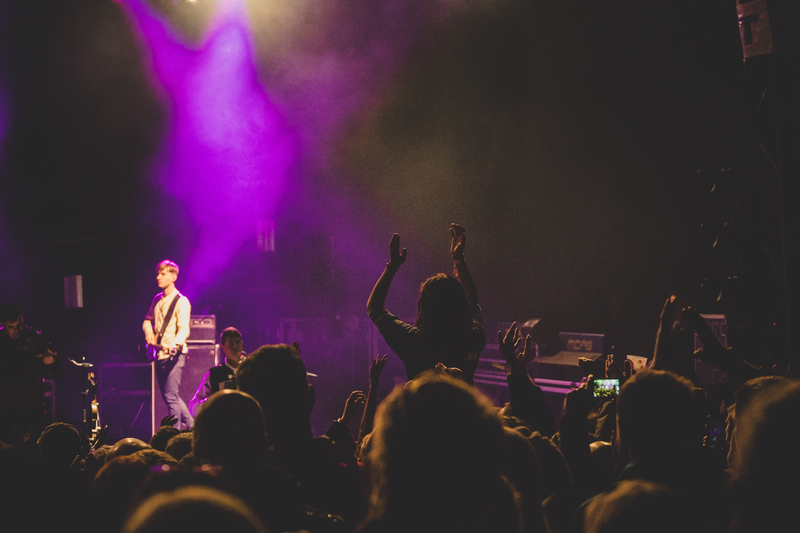 They are always one of my favourite acts, their music is amazing and everyone knows the words to their songs. 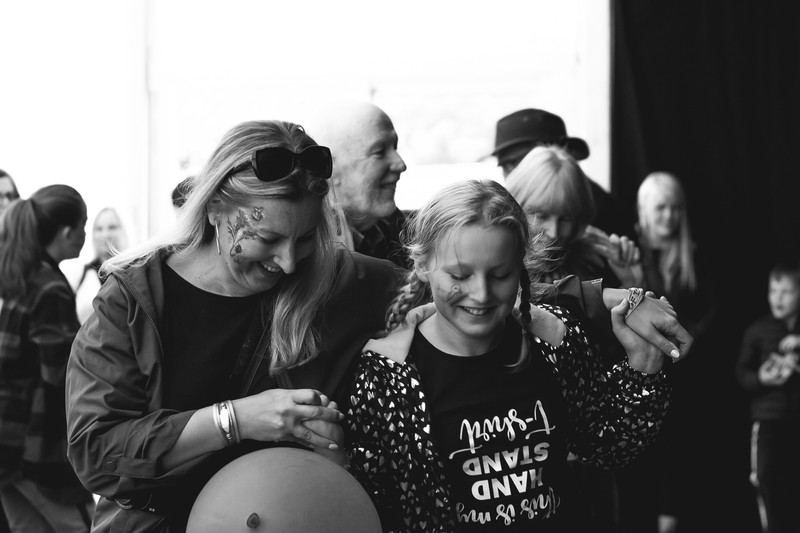 BOWFest really is a fantastic festival which is enjoyed by everyone, from young kids to Grannies and Grandpas. It's friendly, relaxed, safe and set in some of the beautiful surrounding you'll come across anywhere. 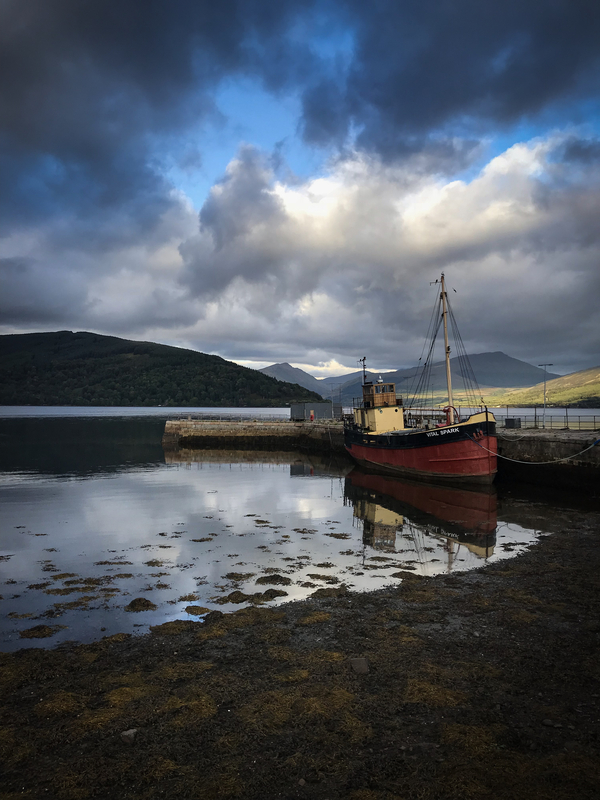 The town of Inveraray is beautiful and while you are at the festival you could also visit the Castle as well as the towns Historic Jail. 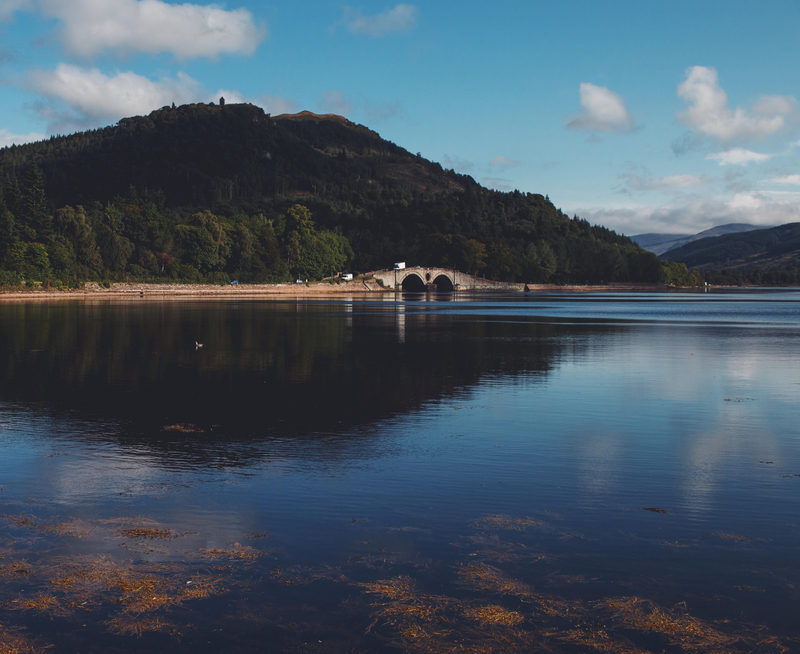 You could even stay longer than the weekend and take the time to visit some of the other wonders Argyll has to offer! The dates for next years BOWFest are 13th, 14th and 15th of September 2019, I would thoroughly recommend it, just a tip though if you are thinking of attending the festival think about booking your ASAP the town is quite small and does fill up very fast. Next weekend I'm heading up to Inverness for Blas Fest, can't wait!! Wow, some incredible pics there @eilidh__cameron, I'm glad you had a great time!! So I finished off my festival season with one of my favourites last weekend.. Bowfest! 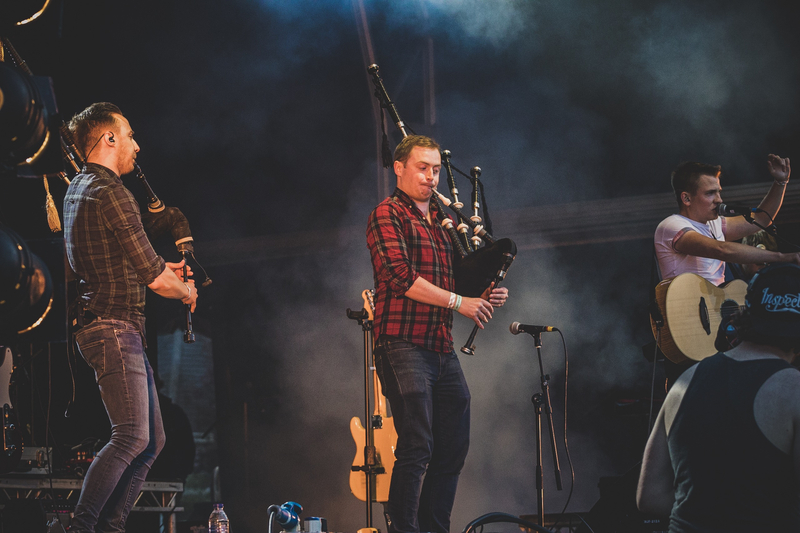 Held in Inveraray, Argyll, Bowfest was back for its 8th year and brought it’s usual great mix of amazing live music, incredible fresh food sourced locally and entertainment for all ages and interests! 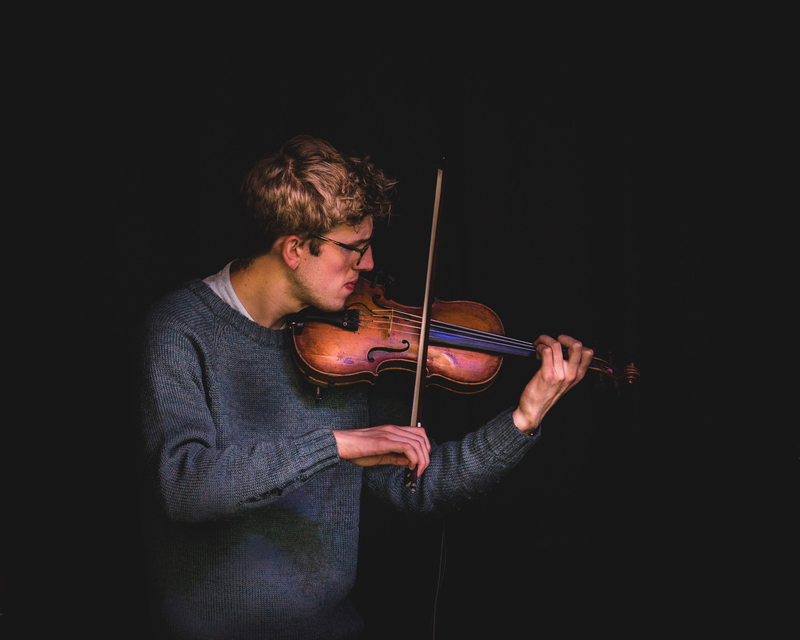 Set in the grounds of the fairytale like Inveraray Castle, I couldn’t think of a better way to round off a festival season that has seen me travel to the south of Scotland and even the Outer Hebrides in pursuit of Traditional music at it’s best! 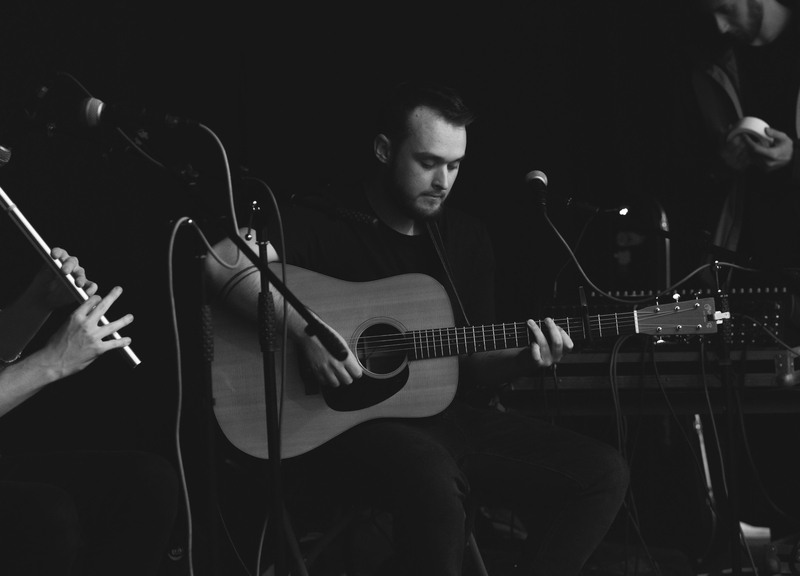 Being the #yoyp2018 Bowfest brings not only the well established Trad music acts, like Tide Lines pictured above, to its stage.. but also puts the spotlight onto the up and coming younger local acts, something I think is highly important to keep the genre alive! And it’s something that’s pretty unique to this festival, from what I’ve seen this year! 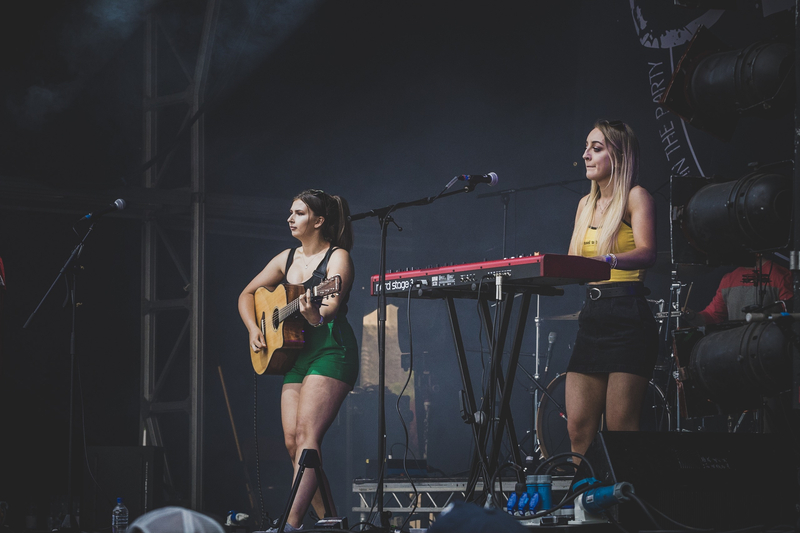 It was great to see the likes of Holly and Tiegan (regular Mòd medal winners) and Hannah Rarity Band, winners of BBC Radio Scotland’s young traditional musician of the year 2018, performing on the Whisky Stage! Last year one of my favourite young Trad Music bands, Heron Valley, gave a brilliant performance on this stage and this year they performed on the main stage.. got to be a good springboard for the young up and coming acts! Aside from all the amazing music performances at Bowfest, there were loads of live cooking demonstrations, showcasing the best Scottish produce and how them leading chefs prepare tasty dishes with them! Best cooking demonstration for me was from Gary MacLean, Masterchef The Professionals Winner 2016 and he is also Scotland’s National Chef..
Heron Valley getting the #yoyp going! 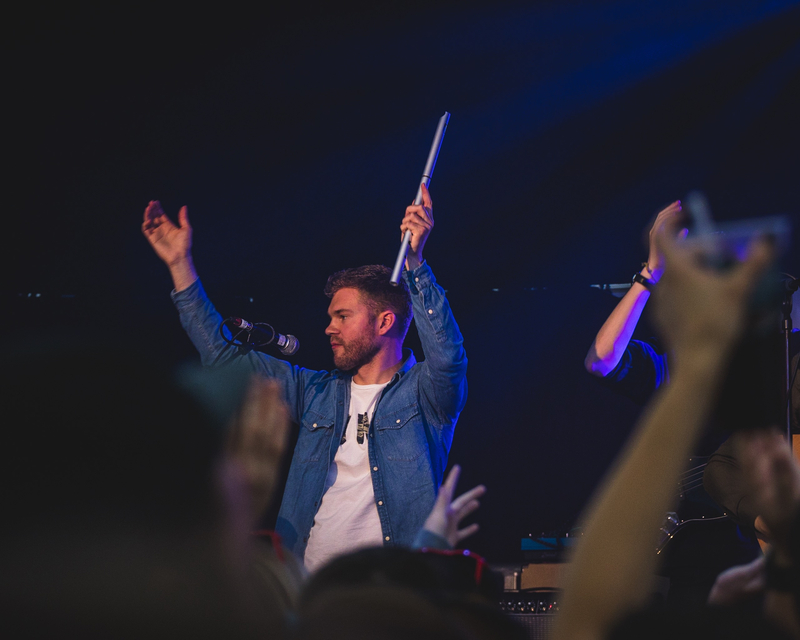 My favourite acts from the weekend had to be Heron Valley, who always give such a lively and crowd pleasingly show, other favourites were Project Smok and Skipinnish! 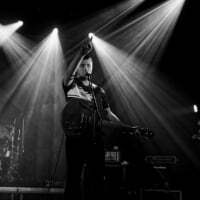 I seem to have caught Skipinnish at most of the festivals I attended this year and they definitely put on a show showing why they were crowned Scots Trad Music Act 2017! Have you seen them play yet? 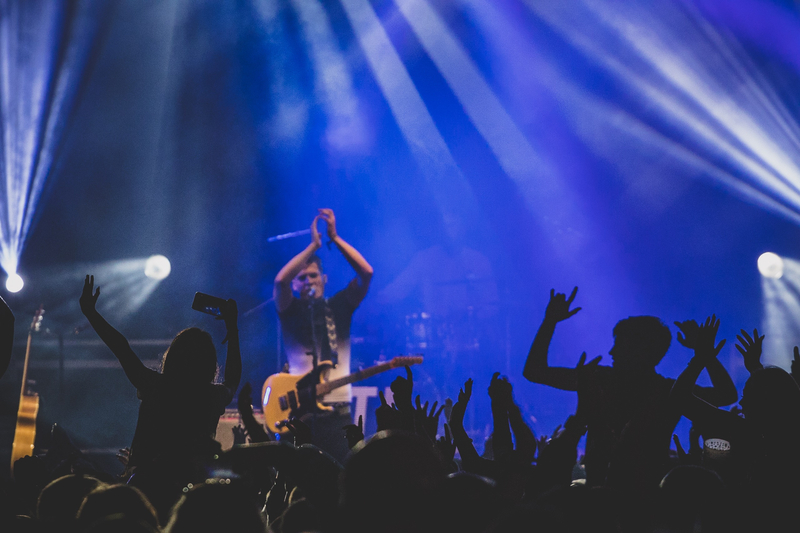 So have you any suggestions for Trad Music festivals I can attend in 2019, maybe one you have went to this year that I haven’t? Let me know below..
@lochgmarcp these are amazing! 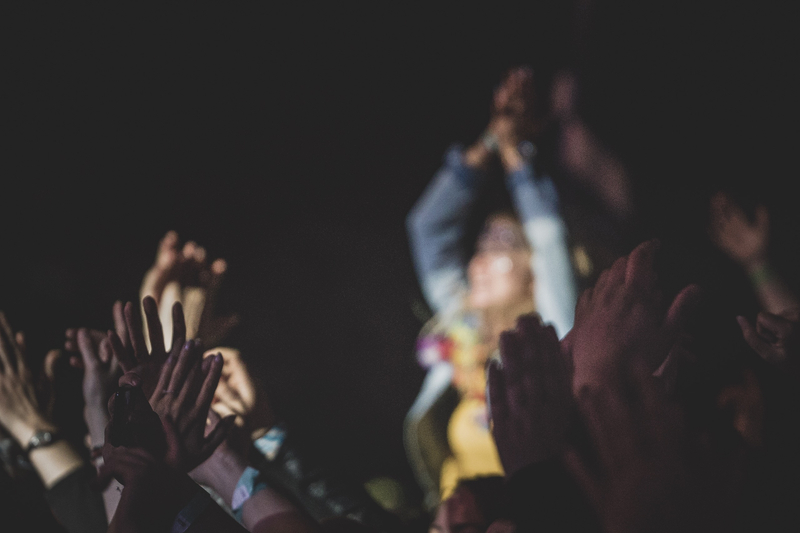 What festivals have you yet to tick off your bucket list?